What was initially a contest to identify the #1 barbershop and treble quartets in the state has developed into an event to give young men and women some new tools to enhance their enjoyment and success in making harmony. Bill sought the assistance of Jack Ryback, Land O’Lakes District VP of Contest and Judging, and Bob Brey, LOL District Secretary. Together they submitted a request to the Barbershop Harmony Society (BHS) and were awarded a grant to establish what was then called the Wisconsin High School Barbershop Quartet Festival and Contest. 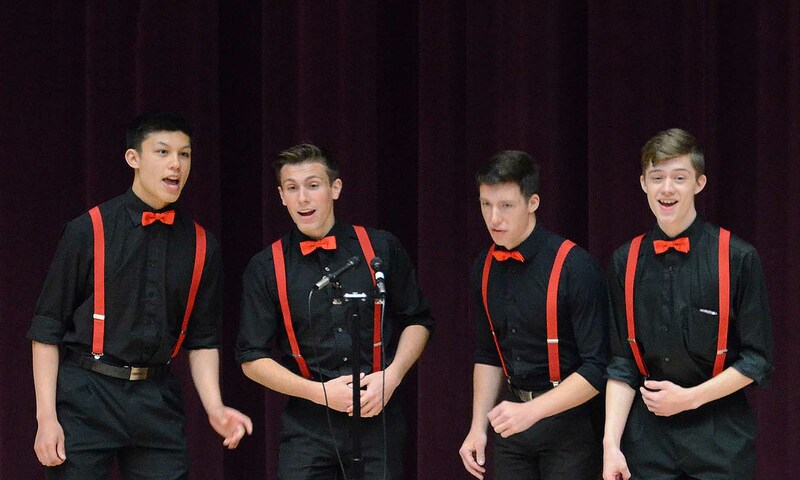 The idea was to offer quartets the opportunity to perform in front of Barbershop Society judges and give them positive evaluations to help improve their singing, sound, and presentation. In 2018, there was a shift in focus to enhance the educational emphasis to include classes on vocal techniques as well as methods to improve individual and quartet performance. For the first three years the Festival was coordinated by members of the Manitowoc, Green Bay and Appleton chapters of the Barbershop Harmony Society. It was held at the Franciscan Center for Music and Performance on the campus of Silver Lake College in Manitowoc. The WYHF Team now includes men and women from all over the state and will be held at Pacelli High School in Stevens Point in 2019. While the initial funding for the Festival came from BHS grants, supplemented by the Clipper City Chordsmen in 2016, the Festival now depends on choruses and quartets, as well as corporate and individual donors for around the state to continue its mission to help young singers learn more about singing in 4-part harmony.